As champion horse ‘Barack Obama’ was cantering cross country in a mammoth 160km race, his United States namesake was farewelling his presidency. In the early hours of Saturday morning, Masterton’s Jenny Champion was on her way to winning her 10th endurance horse racing championship in Taupo. Barack Obama, a “seasoned horse” at 19 years, proved more than up to the task in his third season of endurance racing. “He would be the oldest horse out there competing, but he goes like a ten-year-old,” Champion said. IMBIL endurance ride founder Bob Sample could not be more pleased with his son Matt's equestrian centre project, which won support from Gympie region councillors this week. The centre, which has already had a successful trial run as home base for endurance riders, will now be developed to allow riders and supporters to camp on-site during up to six three-day equestrian endurance events a year. A staff report to Wednesday's council general meeting said neighbours were not all happy with the idea, but their submissions had formed the basis of conditions which council planners believed would "manage and alleviate concerns..."
Two horses sustained catastrophic injuries in a 40km qualifier at Dubai international Endurance City (DIEC) on January 23rd, bringing the total to five deaths at this venue in three weeks, and six since its winter FEI programme recommenced in mid-December. After three fatalities earlier this month, the FEI met organisers and officials in Dubai. The renewed suspension of rides mentioned by the FEI as a possibility before the talks took place has not eventuated. Ridgeway Rally is a private independent event. We are lovers of luxury and all things fabulous including our riding experience. A bit of camping in your lorry on your usual endurance event can be fun but sometimes, just sometimes, it would be amazing to hand your horse over to someone else at the end of a long ride and relax, and when you have riding again the next day, to go to a lovely hotel, get clean and dry, dine and be entertained as well as get to know the other people who are riding too. We created Ridgeway Rally to accommodate both, a great ride with luxury hotels and relaxing entertainment too for an all round superior experience. The last race in the Boudheib 3 day series of the Presidents Endurance Cup took place Saturday with the final of the 120km 2* CEI Junior Young Riders. Two rides take place within the one challenge using both the FEI rules and the Boudhieb Initative Best Endurance Challenge Award (BECA). The BECA awards go to Magic Glenn All Dun ridden by Imke Lamsma from the Netherlands with an average speed of 15.602 and total points of 100.81. Magic Glenn is strained by Anzaq Mahmood from Al Maneyah Endurance Stables. Closely followed In 2nd place was Winca on 100.15 points, ridden by Ali Mohammad Al Hammadi and trained by Omar Rashid Al Jarwan from Al Nasr Endurance Stables and in 3rd position came A P Piton ridden by Shannon Cossor on 97.93 points - trained by Anzaq Mahmood from ABH Endurance. The results are in for the FEI award going to Al Fatin in 1st place with an average speed of 18.750, ridden by Shaikh Hamad Dalmook Juma Al Maktoum trained at the M7 enduranece Stables. 2nd place goes to Tao Du Cavallon ridden by Hassan Jumaa Hassan Al Hamadi, trained by Abdul Kader Abdul Sattar from Al Maghaweer Stables and in 3rd place Willowmere Encore ridden by Ahmed Yousef Al Bloushi, trained by Tahnoun Ahmed Al Bloushi of Nad Al Sheba Stables. Today Boudheib Endurance Village saw the start of yet another initiative endorsed by H.H. Sheikh Sultan Bin Zayed Al Nahyan. The Boudheib Academy for young Emirati students launched the first in what is to be a series of 'beginners endurance rides'. The course was set for 12km consisting of 2 loops with a vet check at the 6km stage. The young riders, ranging from 10 to 18 years of age, were charged with saddling their own mounts before setting off in 3 staggered groups at only walk and trot (cantering would amount to disqualification), frequent essential water stops along the way and attending to their horses needs at the finish (no grooms participation allowed). The ride has been a resounding success, no disqualifications, and a fine time was had by all. On completion one young rider, when asked if he'd enjoyed it said 'it was perfect!". A great experience that these future endurance stars will remember for the rest of their lives and at the same time understanding the respect for their partner, the horse!! Huge thanks go to Boudheib Academy trainer Kieran Treacey for the care and energy that he put into creating this event and the welfare of both his students and horses - congratulations Kieran. Samorin in Slovakia looks set to run the 2022 World Equestrian Games, after the FEI confirmed it would not re-open the bidding following Kentucky’s withdrawal last week. Only two venues applied to be considered for the 2022 renewal – the lowest number in the history of the WEG. Samorin – developed by businessman Mario Hoffman, and officially known as the Napoli Slovak Equestrian Club – must be ratified by the FEI General Assembly in November. But now it is aware there is no rival bid, Samorin will have the longest lead-time of any recent WEG venue. In a further head-start, Samorin already boasts a lavishly-appointed facility of indoor and outdoor arenas and permanent barn stabling servicing an established calendar of FEI jumping, dressage and endurance competitions. Covering 200 acres, it is one of the most extensive new-builds in Europe and also has a racetrack. A north west Queensland endurance rider is calling for nominations for her inaugural ride through the Gobi Desert in south Mongolia. After competing in the longest and toughest horse race in the world – Mongol Derby – Camille Champagne Bargenquast is preparing her own endurance ride in conjunction with an internationally experienced Mongolian vet and two endurance riders from America. 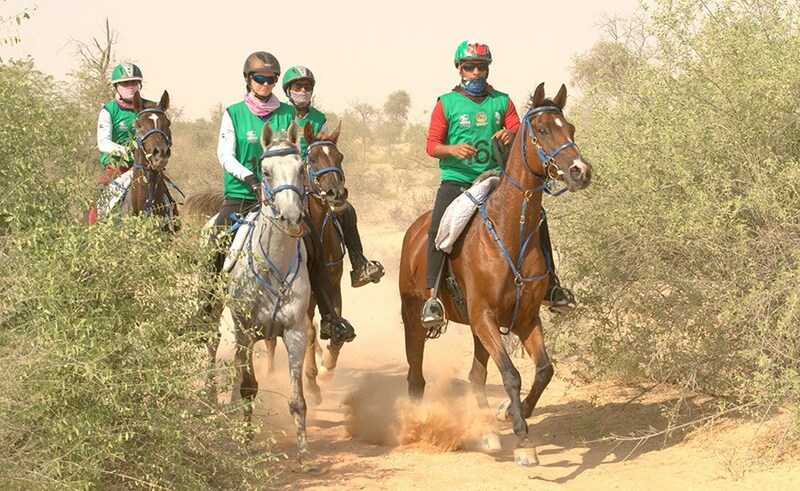 Ms Bargenquast is the co-manager of Linda Downs station located 225 kilometres south west of Mount Isa and will travel overseas to organise what she describes as “a most prestigious endurance ride”, the Gobi Desert Cup. “While racing in Mongolia last year, I realised that three-quarters of the riders couldn’t handle the roughness of the horses and the race situation in general,” Ms Bargenquast said. “From the food which consisted of floating bits of mutton fat in a soup, the danger of camping wherever at nights with semi-wild horses, the distance, being on your own with no assistance (only serious emergency) and no showers for 10 days. Those people around me weren’t prepared and their experience wasn’t a success. The Gobi Desert Cup is a 480km endurance race in which riders compete for six days, riding 80km a day. Starting at sunrise every morning, each must reach the camp before sunset. Two vet checks are held in a day; one at the 40km checkpoint and another one at the end of the 80km. Endurance in the United Arab Emirates (UAE) continues to make equestrian headlines this week although not only for bad reasons. Although the FEI will be holding urgent talks with the UAE endurance organisers this coming week there was also a lengthy statement from 4* judge Francois Kerboul in support of Sultan bin Zayed Al Nahyan's Boudhieb Endurance Challenge which is aiming to change the current face of the sport within the Arabic nations. In total three horses were listed as catastrophically injured during the recent Maktoum Cup meeting at the Dubai Endurance International City, the venue that was deposed as hosts for the 2016 World Championships when horse welfare could not be guaranteed according to the FEI. Since then a further sanction preventing international competition was imposed on the venue and the Maktoum Cup Festival of Endurance was the first CEI 160 to be held after this sanction was lifted. Another horse died during that race, making four at the venue in total and five in the Dubai area in the last three months. According to endurance expert Pippa Cuckson in her latest column for Horse Canada, the FEI are looking into improvements in training regimes as all four of the horses died on the first loop of the rides, leading to a suggestion that the horses may already have been suffering from pre-existing conditions caused by training techniques. It is also just as possible that these sort of injuries are caused by incidents during the mass starts of dozens of horse and it must be asked why the FEI are entering into what amounts to speculation on incidents that are not exactly a rarity. A spokesperson for the FEI told Cuckson that "The catastrophic injuries that have occurred this season have all been in the first loop, so it suggests that these are pre-existing fractures and that there is a serious issue with training techniques. Data from all events, including national fixtures, is being fed into the Global Endurance Injuries Study (GEIS) and Equi-ratings is also providing the FEI with statistics for surveillance and monitoring. LEXINGTON, Ky. (Jan. 13, 2017) – The Kentucky Horse Park Commission voted today to withdraw from consideration for hosting the ninth International Federation for Equestrian Sports (FEI) World Equestrian Games, to be held in 2022. Commission members expressed concerns regarding staging of the games and the potential conflict that hosting would create with the long-term goals of the Kentucky Horse Park, including limitations on potential Horse Park-generated revenue opportunities. After more than one year of existence, the necessity of building a structured communication network has become obvious to convey what is happening in Bouthib. We have seen and we know that names and designations are not always easily transcribed from one language to another, mainly when different alphabets having nothing in common are concerned (in this case the Arab characters and the Latin ones with English phonetic predominance). This is why the spelling fluctuates between Bouthieb, Boutheib, Bouthib or even Bou Thib according the transcribers' will more or less phonetically right. But if you really wish to communicate, you have to decide which spelling is suitable and stick to it. This is why Sh Sultan bin Zayed Al Nahyan has decided that, from now on, the right spelling in English is "Boudheib", which phonetically speaking is the nearest possible way to write it in English. Then a logo was created to clearly identify the Organizing Committee and avoid calling it "the one of Bouthieb" or "the organization of Bouthieb", etc. "Boudheib Endurance" has become the official name of the entity managing and promoting the innovations taking place in Boudheib. The Bouthieb Protocol has become the "Boudheib Endurance Challenge Award" or "BECA". But orthography and a name are certainly not enough. Communication is more demanding, otherwise nothing or almost nothing of what one does has a true existence in the eyes of others. Of course, the articles written and distributed throughout the world, with the multiple developments it generates are an efficient means, but it does not replace the other media anchor which penalized the action. It has now been done with the opening of a Facebook page ("Boudheib Initiative") and a website to come soon (www.boudheib.ae). This website will broadcast the live results of the events taking place in BIEV (official abbreviation of "Boudheib International Endurance Village"), situated among the dunes, next to Al Khatim in the center of Abu Dhabi. These results are at present exclusively broadcasted through the ATRM website which has a worldwide extent and shares the diffusion of the Boudheib Endurance events and will continue doing so. Being aware that images have a tremendous power on the public, Boudheib Endurance has decided to have the BIEV events broadcasted on a live mode. Broadcasting live by streaming on Internet was preferred to the "traditional" TV process which is heavier to handle, more expensive and has less geographical extent than what the Internet network easily provides. The rides of January 5th and 6th 2017 were a successful test of that mode. Four horse fatalities in three rides have put endurance organisers in Dubai under threat of further disaffiliation from FEI competition. Urgent meetings will take place in Dubai next week, where the FEI is expected to insist on tougher measures to reduce high speeds. Two of the four horses died in a single ladies’ ride on January 4th, both from the same barn. The FEI has also taken the unprecedented step of suggesting the fatalities could result from pre-existing fractures due to training techniques. WAM -- The UAE has become a hub for equestrian endurance sports, and a factory producing champions who display the high stature of the UAE at global competitions, said Vice President, Prime Minister and Ruler of Dubai, His Highness Sheikh Mohammed bin Rashid Al Maktoum. This year, the Sheikh Mohammed bin Rashid Al Maktoum Festival attracted riders from across the world, and provided a great opportunity to exchange experiences between Emirati riders and world champions, he said in remarks made at the closing of the 10th Mohammed bin Rashid Endurance Cup, the highlight of the Sheikh Mohammed bin Rashid Al Maktoum Festival. The event - the largest of its kind in the world- was held at Dubai International Endurance City in Seih Al Salam. Endurance riders & horses enjoying natural tracks through the UAE's forestry reserves, unique to Boudheib. We are delighted to announce the launch of the new Boudheib Initiative facebook page. 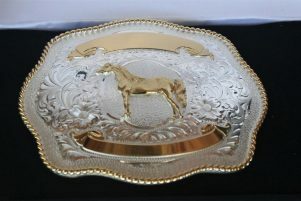 Join us in our cause for the 'welfare of the endurance horse' and returning the sport of endurance back to its origins. For results, debate, rules, events live streaming, current topical conferences, protocol issues & ideas and lots more besides. See you online. and all of us at the Boudheib Initiative team. Will Shaikh Hamdan bin Mohammed bin Rashid Al Maktoum, Crown Prince of Dubai, make it a hat trick of the His Highness Shaikh Mohammed bin Rashid Al Maktoum Endurance Cup will only be known before the pre-ride on Friday. Shaikh Hamdan had won the CEI*** event, presented by Longines in 2015 and 2016 but is yet to confirm if he will take part in the 160km event to be run at the Dubai International Endurance City on Saturday. "It is still too early to be sure about the participation of Shaikh Hamdan bin Mohammed bin Rashid Al Maktoum and this will be confirmed by Friday when the pre-ride will start in the afternoon," Mohammed Essa Al Adhab, General Manager of Dubai Equestrian Club, said at the Dubai International Endurance City on Wednesday. 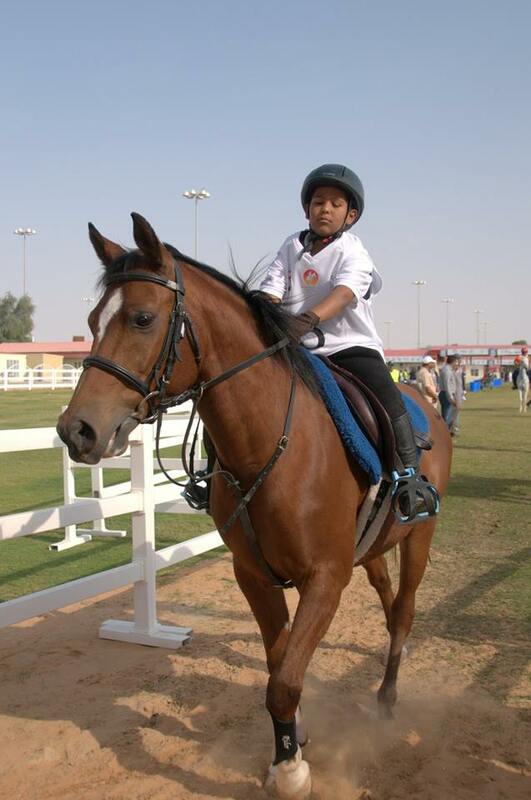 "Till then we are not sure if His Highness Shaikh Hamdan will attend or ride," he added. The 2014 World Equestrian Games Champion Shaikh Hamdan, had won the ride in 2015 in 6.31.33 hours, onboard Napoli Del Ma from the MRM Stables.